HSM Welcomes Windy25 Memorial Fund! Five brave Americans gave their lives in the name of freedom on April 6th, 2005 near Ghazni, Afghanistan. They are the crew of Windy25: CW2 Clint Prather, CW2 David Ayala, SSG Charles Sanders, SPC Michael Spivey and PFC Pendelton Sykes. Windy25 was the call sign of the crew’s aircraft from F Company, 159th Aviation Regiment “Big Windy”. They made the ultimate sacrifice while serving in Operation Enduring Freedom, Afghanistan. 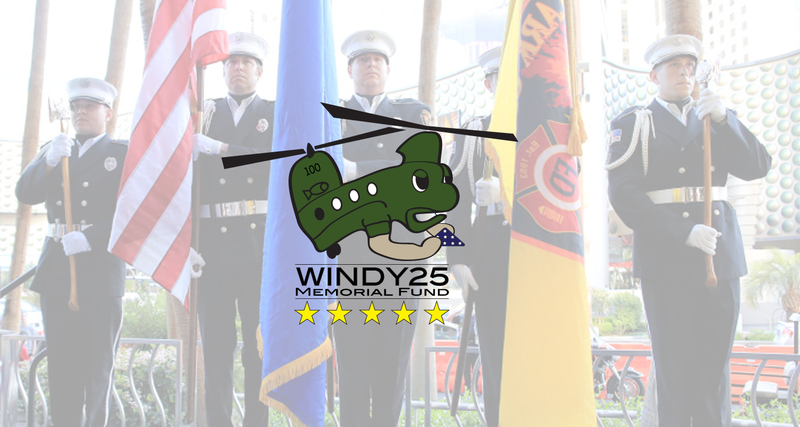 The Windy25 Memorial Fund was created to honor their legacy by actively supporting the families and survivors of all of our nation’s heroes…they will never be forgotten. The Windy25 Memorial Fund vows to preserve our crew’s legacy with dedication, honor and an unquenchable desire to make this world a better place. The Windy25 Memorial Fund remembers Windy25 as they lived, bringing life and love and joy to those who knew them and a pride to those that knew of their personal sacrifices in wearing an Army uniform. The Windy25 Memorial Fund will always remember them, these skilled professionals, American soldiers, young men…family men…and loyal friends, and they will cherish each of their stories – stories of triumph and bravery, stories of true American heroes. The Windy25 Memorial Fund is created in your honor and to fulfill your legacy.